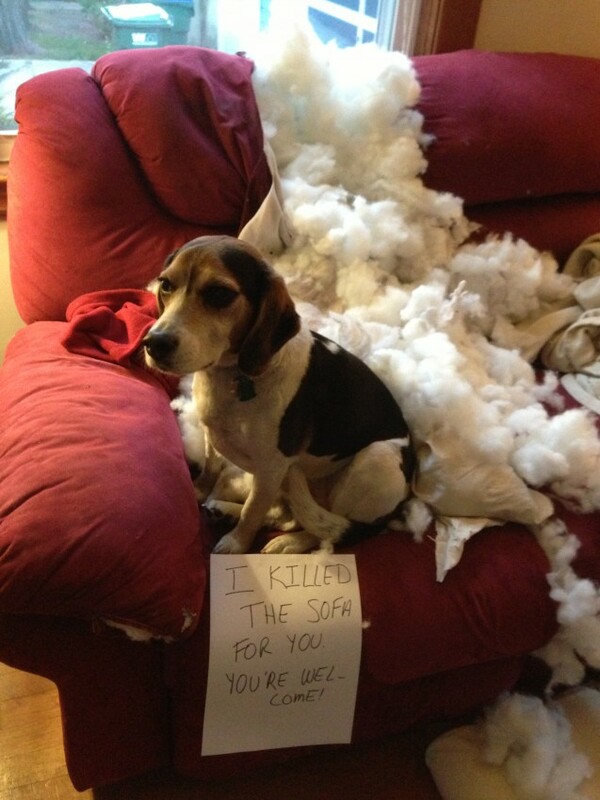 Harvey the dog has destroyed the sofa once and for all. Posted October 29th, 2013 . I LOVE LOVE LOVE this pic with that terrific ‘thought’….. Sent it to all my dog loving (and owning…) friends.